HIGH COMPRESSION. Not everyone has the same calf circumference. X-BIONIC Effektor xbs.competition consider this and offer different calf sizes for each foot size. With high compression you get the maximum performance during a race. The Partial Kompression helps your calf to cool down even during a tough run. 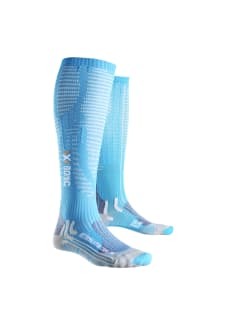 The perfect sock for long competitions.